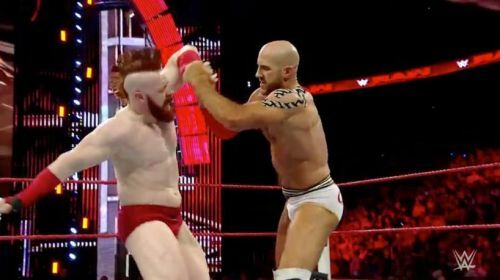 WWE Superstar Sheamus and Cesaro are undoubtedly two of the most gifted in-ring competitors who can cross all the limits inside the ring to entertain the fans. The duo had a Best of Seven series during the early stages of the brand split where the winner would have become the Number One contender for a title by the then RAW General Manager Mick Foley. 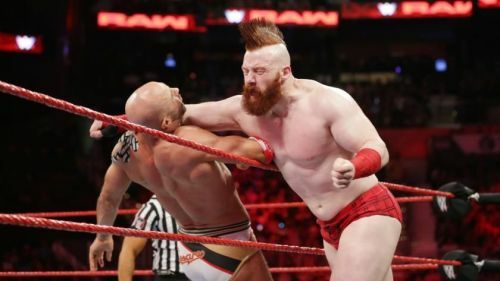 However, the series ended in a 3-3 stalemate since Cesaro and Sheamus played out a tie in the 7th match after winning 3 matches apiece and a draw in the last match. Foley then decided to hand them a shot at the tag team championships which led to the formation of the Bar. The European duo took some time to get along but 2 years after their formation, but now they stand as one of the top tag teams of the WWE currently. They are the reigning SmackDown Live tag team champions and have won the tag team titles 5 times in the past 2 years which shows their dominance. But, this tag team has led to the hindrance of both the superstars' singles careers and it would be better for the WWE Universe and the two superstars if they split soon. While before their unison, Sheamus portrayed a heel character and the Swiss Cyborg was a face so, it would be better if the Celtic Warrior emerges as the villain from the story. Well, the first and foremost reason why Sheamus should turn on Cesaro is that the SmackDown Live brand has had lacklustre feuds which have reduced the number of viewers. If you look at the some of the earlier feuds of the year AJ Styles vs Shinsuke Nakamura, Rusev vs Aiden English, Shinsuke Nakamura vs Jeff Hardy and many more have failed to deliver despite having the potential to steal the show. Sheamus and Cesaro have spent a lot of time together and thus, they have the calibre to pull back the viewers towards the 'B' show with their feud.